While the diet industry attempts to scare us out of eating carbohydrates, Clean Eaters are proving that carbs are in fact very healthy and can help us lose weight. As women, we often need more carbohydrates than men do to lose weight. Why? Because carbohydrates give our bodies the energy we need, and help to regulate hormone production as well. And as we know very well, hormones are an essential piece of the pie to shedding weight and keeping it off. Rather than depriving yourself of carbs all together, it’s important to learn the difference between bad carbs and good carbs. Chips, french-fries, fruit-juices from concentrate, breads and pastas are what we call “empty carbs”, meaning they don’t have much or any nutrition, and can spike your insulin levels leading to weight gain. Complex carbs on the other hand, are found in nutrient dense foods and can help sustain your energy for longer periods of time as they break down slower in the body. Simple carbs (empty carbs) like refined sugar, pasta, breads and cereals are the ones to watch out for because they have a negative impact on your insulin and hormone levels. Now that you know this, you can choose carbs that support your goals and enjoy a balanced diet rich in nutrient dense foods. Below are 7 smart, Clean Eating carbohydrates you can enjoy and still lose weight. 1. 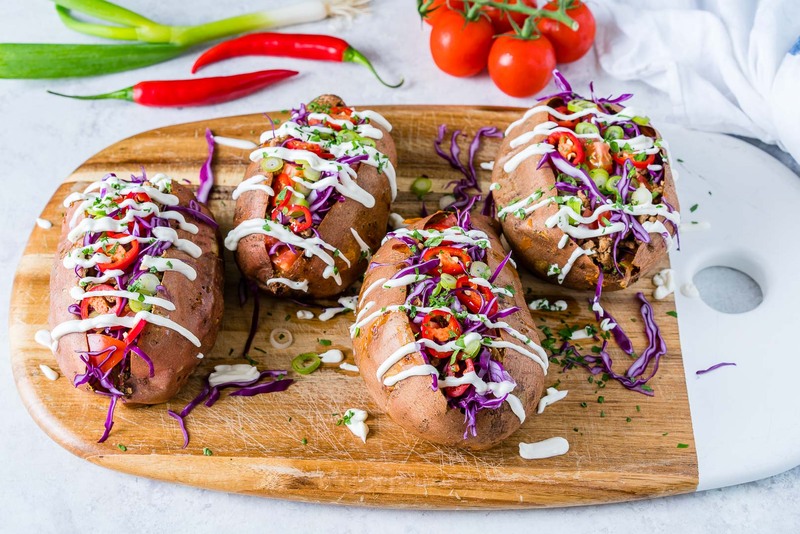 Sweet Potatoes: they’re rich in Vitamin A and antioxidants. They’re versatile and can help satiate any carb cravings you may have! 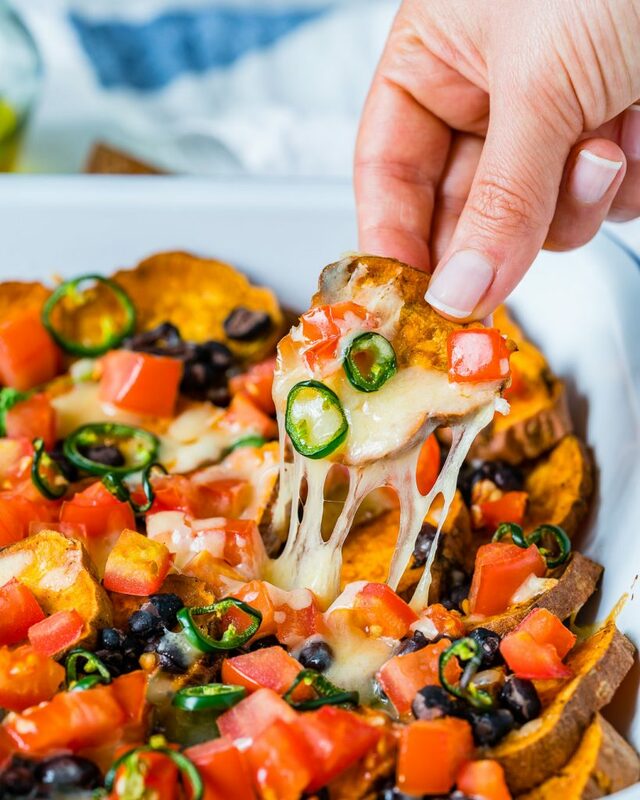 Recipe: Try these loaded sweet potato nachos! 2. 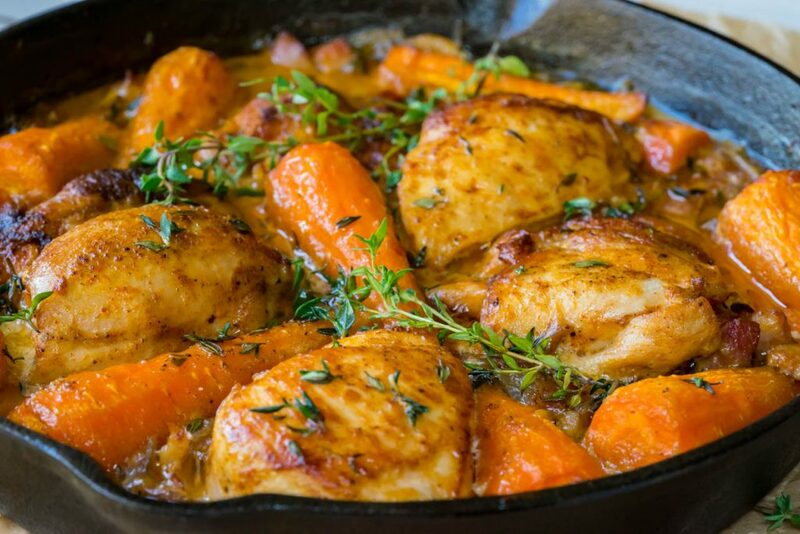 Carrots: Another great source of Vitamin A and fiber to promote healthy weight loss. 3. 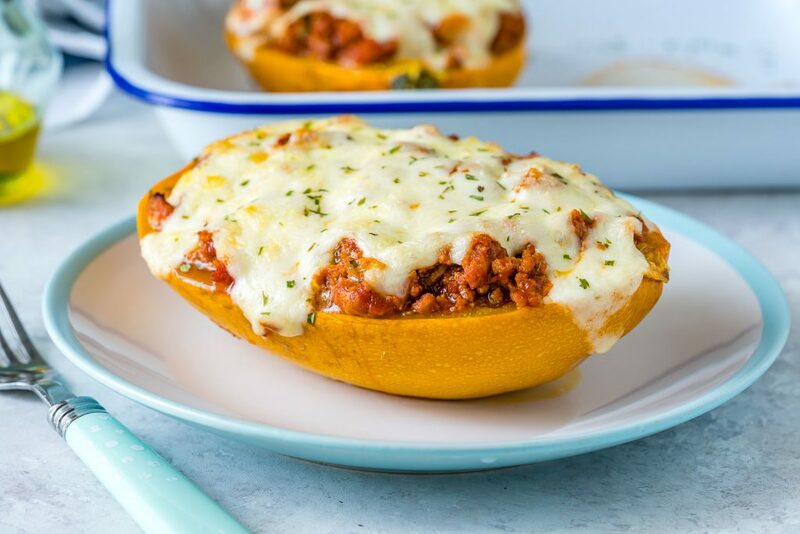 Squash: Starchy carbs can be enjoyed in moderation while aiming to lose weight, and they make a wonderful substitute to pasta and bread. 4. Rice: Here’s a little tip – if you soak rice and rinse it off first, you’ll remove any excess arsenic that’s built up from the growing process. 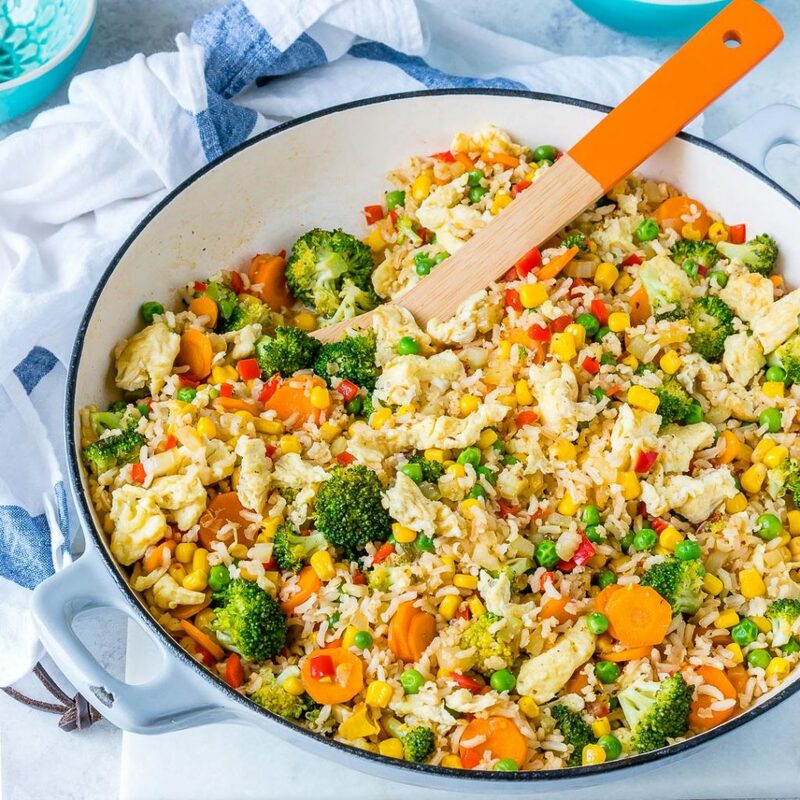 Rice is a healthy carb choice, especially post-workout. 5. Quinoa: this wonderful miracle grain is a great source of carbohydrates and also contains trace minerals and a decent amount of protein. 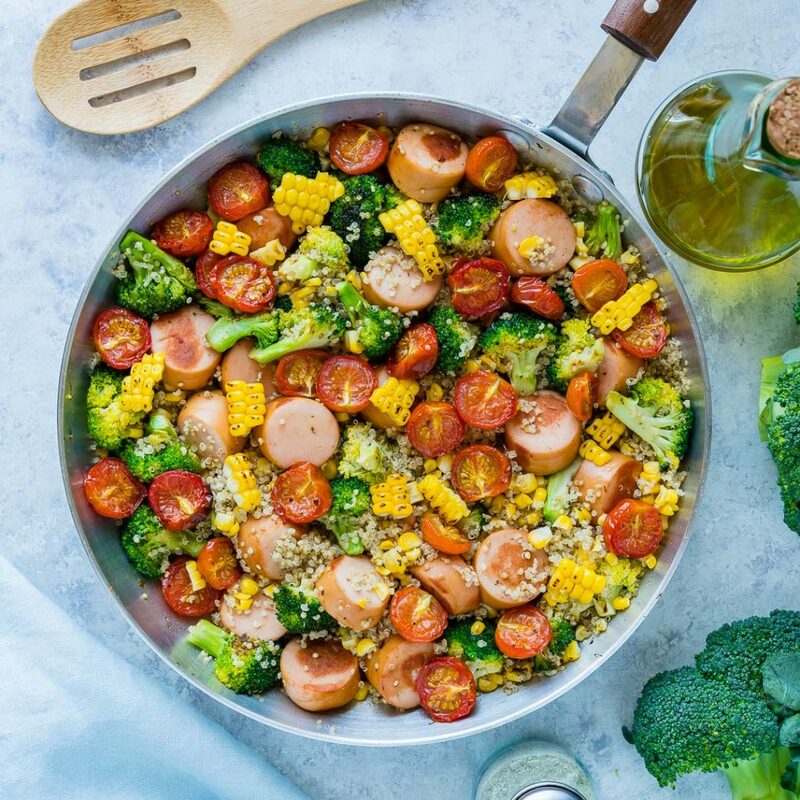 Recipe: 20 minute broccoli + sausage + quinoa skillet. 6. Beans: a slow-digesting carb source, beans can provide lasting energy and make an excellent meatless protein option. 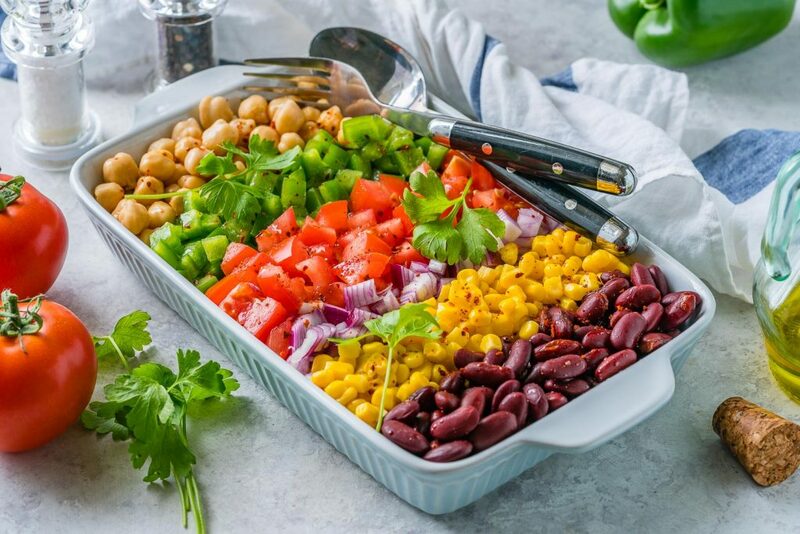 Recipe: Lemon layered bean salad. 7. Oats: look no further, you can enjoy fluffy and delicious pancakes without ruining your health goals. Oats are a slow-burning carb, which means they provide longer lasting energy and support weight loss. Another great pre or post workout meal! 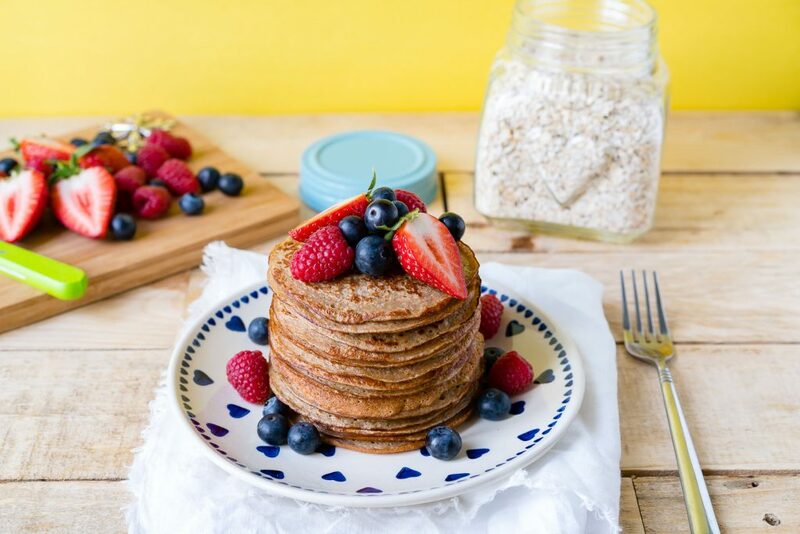 Recipe: Yummy oatmeal protein pancakes.